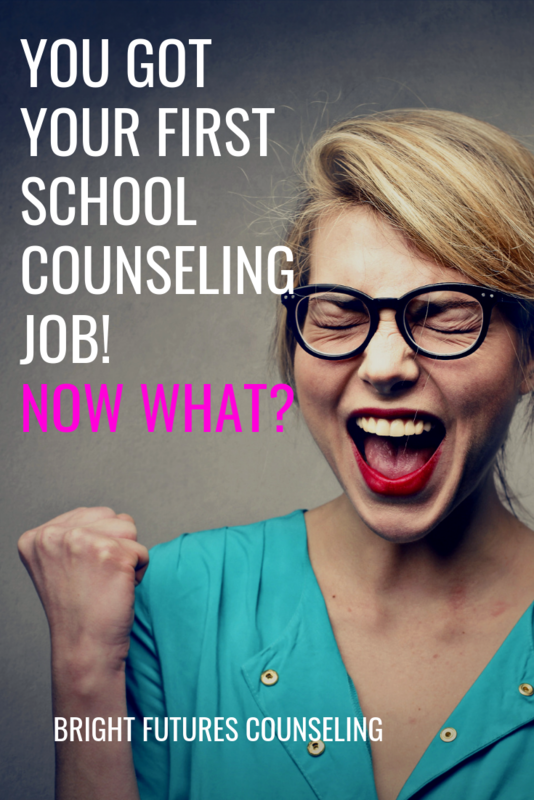 First Year School Counselors: Start Here! Congratulations! You’ve landed your dream job of an elementary school counselor. I mean it is the best job in the world right? You get to help kids and change lives all day everyday. Plus you get more bathroom breaks than teachers and all of the same holidays. Am I dreaming?! I remember when I got the call for my first counseling job offer. I was walking back from Taco Surf (if you’re ever in San Diego, eat here!) with a delicious California breakfast burrito. It was an unknown number from Canada (so random, still not sure whose phone it was from) and I never answer unknown numbers, but I just had a feeling. Thank goodness, because I rarely check my voicemail either! I almost dropped my burrito (that would have been a shame!) and ran to my car leaping with joy! Seriously, this was the second year after I had graduated from grad school and I was working at a job I hated. All this to say, I am so happy for you if you are a first year school counselor because it is a tough job to get and you did it! Small groups, guidance lessons, and individual sessions are the core of your counseling program. Check out these blog posts on how to get started planning for a successful year. You’ve got this!